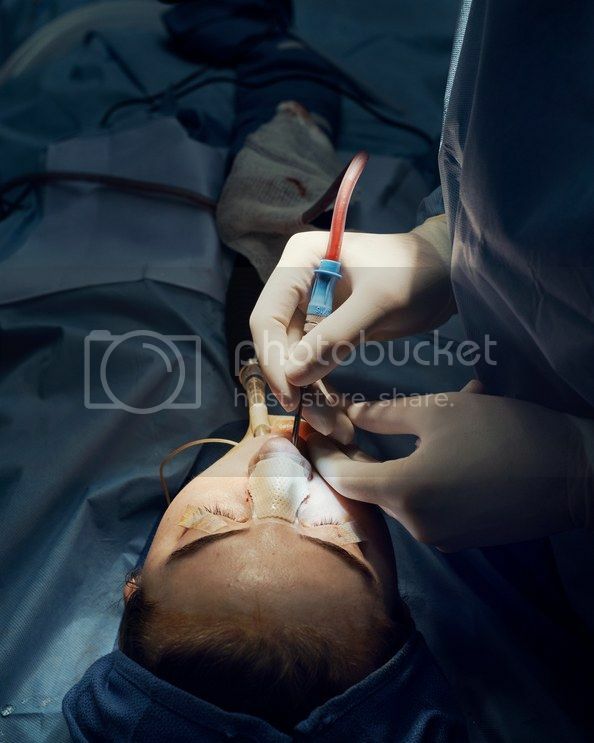 Note: This article contains images of a surgical procedure being performed. Interest in plastic surgery is at an all-time high, but stigma and misinformation still surround the industry and its patients. Welcome to Life in Plastic, a new series by Allure that aims to break down cosmetic procedures and provide all the information you'll need to make whatever decision is right for your body — no judgment, just the facts. Here, we're covering everything you need to know about rhinoplasty. 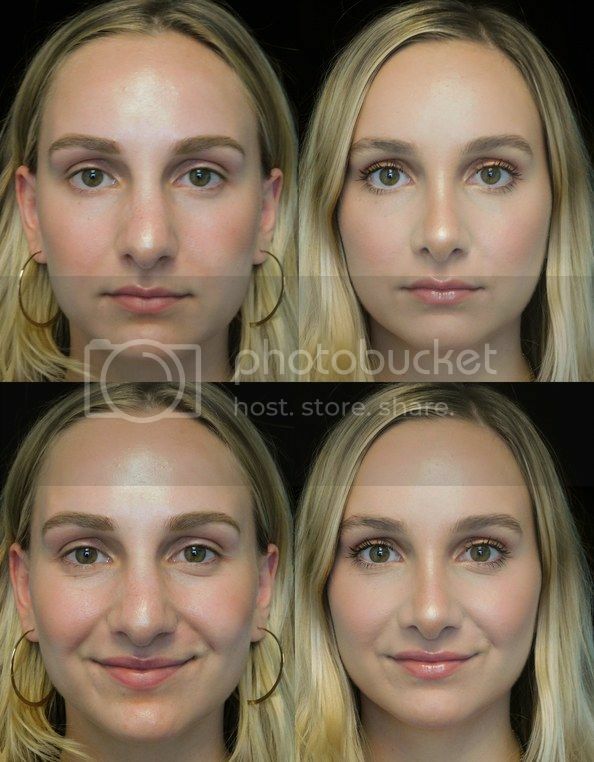 Considering a permanent way to transform the size, shape, or appearance of your nose? You're not alone. In fact, the 2017 Plastic Surgery Statistics Report by the American Society of Plastic Surgeons lists the procedure as the third most popular cosmetic surgery, with 218,924 recipients. If you're considering joining them, here's everything you need to know about rhinoplasty — initial consultation to post-op. Commonly referred to as a nose job, rhinoplasty is a procedure that "sculpts the shape of the nose externally for cosmetics, and internally for breathing," says Deepak Raj Dugar, a board-certified plastic surgeon in Beverly Hills. The goal, he says, is to give a "natural look to the nose, as if it was never touched, that balances the patient's face perfectly." The first step in the rhinoplasty process for prospective patients begins in the office of a board-certified plastic surgeon for a thorough consultation. Following paperwork and initial photographs, the surgeon chats with the patient about any cosmetic concerns and "studies the inside of their nose for breathing issues," says Dugar. "I then morph the patient's photos on the iPad directly to show them the intended goals of surgery." Patients may also be shown other patients' before-and-after photos for noses that are similar to their own size and shape. "If they are a good candidate, I let them know. If they aren't, I also let them know," says Dugar. "It's the most honest 30 minutes of their life." Key factors that also help determine the ideal candidate include nasal maturity (if the nose is mature enough — usually over the age of 15), emotional maturity (patients thoroughly understand implications, risks, and purpose of the surgery), having realistic expectations (understanding both goals and limitations of the procedure), and an absence of body dysmorphia. The last on that last, Dugar explains, is something lots of patients have issues coping with. 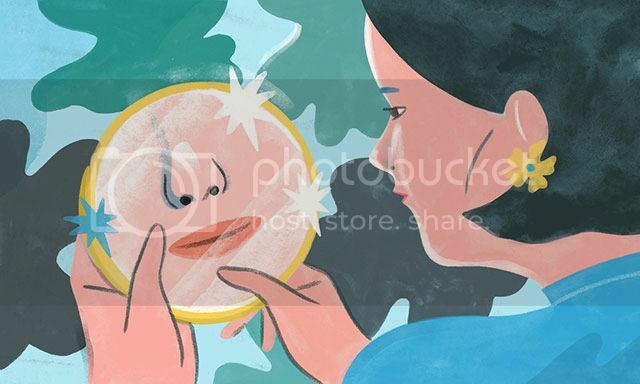 "We all [experience body dysmorphia] to some extent, but some [patients] cross the normal spectrum," says Dugar. "It's our duty as surgeons to counsel them and avoid letting patients guide us into wrong ethical decisions." 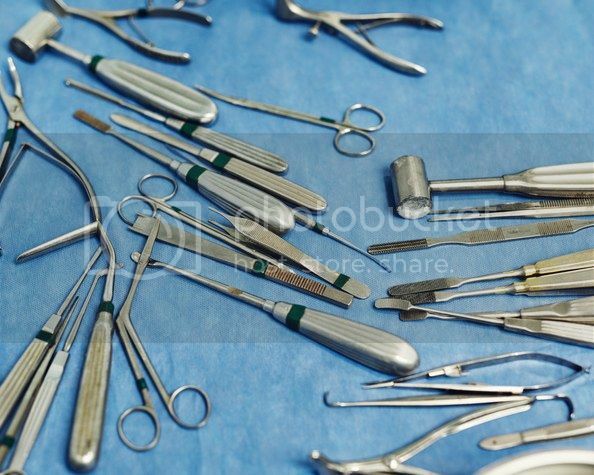 Like any surgical procedure, preparation is helpful for both a smooth surgery and recovery. To help reduce things like swelling, bleeding, and bruising (especially in patients who travel via plane for the procedure), Dugar recommends a "strict regimen of [applying] arnica [a homeopathic herb that can help decrease bruising and pain] preoperatively, as well as avoiding caffeine, alcohol, and smoking one month prior to surgery." Rhinoplasty is typically performed on an outpatient basis and can be done in one of two ways: open or closed. Both approaches involve incisions being made within the internal nostril region, but the open rhinoplasty approach adds an external incision (a few millimeters) on the undersurface of the columella (i.e. the tissue that divides the nostrils), says Kolker. That external cut leaves a permanent scar, says Dugar. The skin of the nose is then "undraped" (similar to opening the hood of the car, says Dugar) so that the inner structures of the nose become visible. "This allows you to do massive changes to the nose and take things apart more readily and reconstruct the nose," says Dugar. "This is necessary for botched or revision [previously operated on] noses, or noses with very difficult anatomy." With closed rhinoplasty, "all of the incisions are made inside the nose, which means no external cuts and no risk of scarring," Dugar says. It is through these internal incisions that the nose is then shaped and sculpted for subtle changes. "We don't alter the face, yet we soften and improve the overall balance," he says of the procedure. 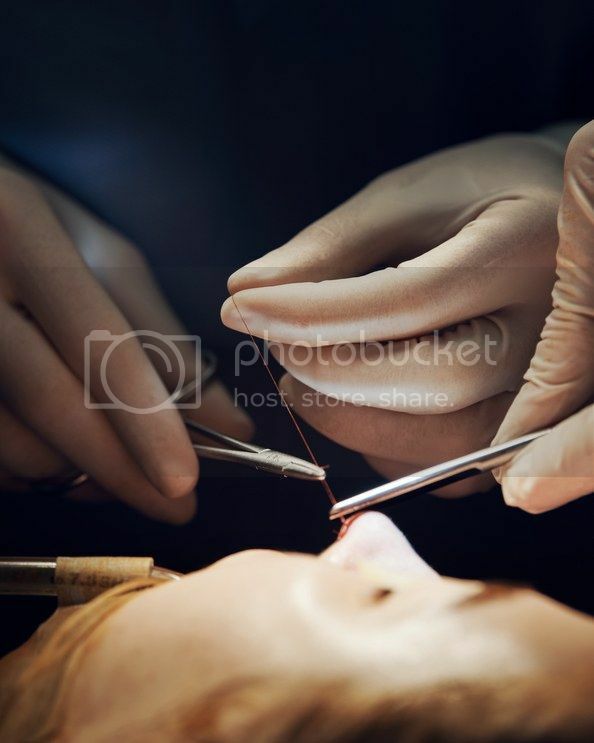 Ultimately, the plastic surgeon will select the most appropriate rhinoplasty incisions based on the specific structural modifications required for the patient, according to Kolker. When considering rhinoplasty, or any other cosmetic and elective procedure for that matter, there are risks to keep in mind. Gary Breslow, a board-certified plastic surgeon in New Jersey, explains rhinoplasty is not without risks, although it is considered a very safe procedure. "The biggest risk of rhinoplasty is a poor outcome, which is why rhinoplasties have the highest revision rate of any plastic surgery procedure performed," he tells Allure. Poor outcome might mean that the cosmetic appearance is not what was desired, and sometimes it might even be worse than pre-procedure. Breslow gives some examples. "Cartilage grafts are often used in cosmetic procedures, and these grafts may move and become visible," he says. "Rhinoplasty to correct a crooked nose runs the risk of not straightening the nose completely," he says. "Because cartilage has 'memory,' there is also the risk of the nose becoming crooked again over time." There's also your breathing to consider. "Cosmetic rhinoplasties also run the risk of worsening breathing in a patient who had no issues before surgery," Breslow says. He adds that even when the procedure is performed for breathing issues, there is still the risk that breathing might not improve, and may get worse after surgery. Other risks include those often associated with surgery, such as bleeding, infection, and risks of anesthesia, but Breslow notes these risks are "extremely small." As always, speak to your doctor about your own potential risk factors. In terms of recovery, it largely depends on the type of rhinoplasty, but for both open and closed procedures, downtime is typically a one- to two-week period. "Most patients have a rapid recovery within five to six days [for closed procedures]," says Dugar. After five to six days, you can remove the splint from your nose and go out in public, if desired. Once the splint is removed, there is often little to no bruising, which is (nothing a little concealer can't cover up). "You can be out to dinner the same evening without any telltale signs of surgery," says Dugar. While initial recovery is generally quick, healing can continue for the next one to three years. "It is a slower healing process than most people think because the skin isn't being cut like it is in a face-lift or tummy tuck," says Dugar. "The skin has to shrink to the new, underlying framework, which can take one year for the bridge and three years for the tip." At the same time, Breslow says that while rhinoplasty might have a reputation for being painful, the pain factor is not as serious as some people think. "Although there is generally a significant amount of swelling and bruising after the procedure, patients are generally very comfortable with little pain," he says, adding that the pain patients do experience is usually very well managed with prescribed medications. As with most plastic surgeries, the total cost of the procedure and recovery can vary greatly depending on the region and physician. Dugar explains that other variables include the skill level of the surgeon, whether it's being done open or closed, and if it is a primary or a revision case. Kolker agrees that costs can vary widely and can include fees from surgeons, anesthesia, and hospital and ambulatory surgery centers. He says that in total, rhinoplasties can range from approximately $6,000 to $15,000. However, for those with documented breathing problems, "surgery of the septum, internal valves, or turbinates that can be performed at the same time as aesthetic refinements may qualify for insurance coverage, but for the functional portion of the procedure only," Kolker says. Dugar says rhinoplasty is "extremely common amongst the younger demographic," and that rings especially true in the case of Ruby Priscilla Cruz, 19, a patient of Dugar's who shared her rhinoplasty experience with Allure. "I couldn't be happier with the results," Cruz says. "The first week I had discomfort because I was unable to breathe through my nose because of the packing and cast, but other than that, the healing process was smooth and painless." For a smooth procedure with happy results like Cruz's, Breslow stresses the importance of finding the most-qualified doctor. "The ability to precisely and accurately manipulate and restructure the nose to achieve an aesthetically pleasing result, while maintaining or improving functional breathing issues, requires a skill set and expertise that takes many years for a surgeon to acquire," he explains, adding that correcting a botched rhinoplasty is even more difficult. "Choosing the correct plastic surgeon is the one factor that a patient must get right when considering having a rhinoplasty," stresses Breslow. Therefore, doing your research is imperative. If you're considering undergoing a rhinoplasty procedure, seek out a board-certified plastic surgeon for an initial consultation. This article first appeared in Allure.